Just a quick announcement for my local readers--I'll be presenting my popular program, "Break Down the Barriers: Becoming a Writer," at the Downers Grove Public Library on Tuesday night, November 5th, at 7:00 p.m. While the program is aimed at would-be novelists (November is NaNoWriMo, or National Novel Writing Month, after all), I'll have great advice for writers of all stripes. If you struggle with procrastination, self-doubt, lack of drive, or all of the above, please come to this free program and give your writing career a tune-up! Later next week, I'll be speaking at Content Connections in downtown Chicago on November 7th and 8th. If you're a freelancer who wants to get into "content marketing," one of the most lucrative (and fastest-growing) writing niches, I highly recommend this program! Be sure to come up and say hello if you're there! And finally, if you're thinking about publishing a book, mark your calendars for my next program at the Downers Grove Public Library. "So You Want to be an Author: Your Book Publishing Options Today" will introduce you to the variety of publishing options and their pros and cons, and help you decide which option is right for you. ** Can't make it to any of these events? 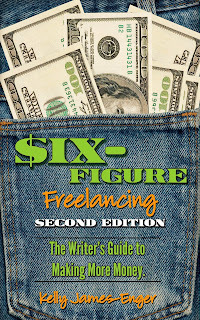 Then don't forget about my books which are invaluable to both newbie and experienced freelancers: Dollars and Deadlines: Make Money Writing Articles for Print and Online Markets and Six-Figure Freelancing: The Writer's Guide to Making More Money, Second Edition. Prefer a print copy? Use the coupon code IMPROVISEPRESS (all caps,no spaces) for 20 percent off when you order directly through ImprovisePress.com. Brief Blogging Hiatus...And Will You Be At ConCon Next Month? Hi, readers! I'll be taking a brief blogging hiatus, for a good reason--I just signed a great ghosting gig, but it comes with an extremely tight deadline--the client's book is due in 10 weeks. (Yikes!) I will be back to talk about ghostwriting--and my new book--by November. So stay tuned! In the meantime, will you be attending Content Connections here in Chicago? It's a conference for content producers of all stripes, and will be well worth the money. Content marketing is the fastest growing area of ghostwriting today, and companies spent more than 40 billion dollars on it last year. Come find out how you can jump into this lucrative, in-demand niche--and make sure to say hi, as I'll be there, speaking during the Breaking In track, and moderating other sessions. And as usual, I remind you about my books which are invaluable to both newbie and experienced freelancers: Dollars and Deadlines: Make Money Writing Articles for Print and Online Markets and Six-Figure Freelancing: The Writer's Guide to Making More Money, Second Edition. Prefer a print copy? Use the coupon code IMPROVISEPRESS (all caps,no spaces) for 20 percent offwhen you order directly through ImprovisePress.com. 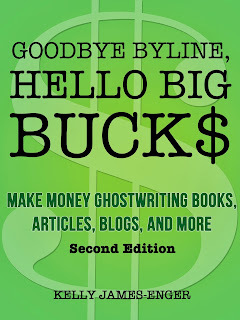 Coming Soon....Goodbye Byline, Hello Big Bucks, second edition! 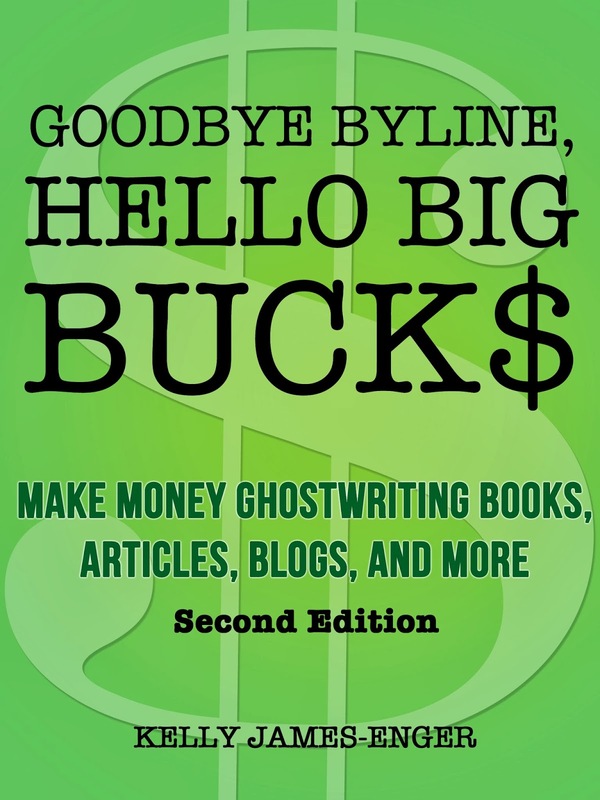 One of my projects in recent months has been updating my book on ghostwriting, Goodbye Byline, Hello Big Bucks, to include the different types of ghosting available today--everything from doing content marketing to articles to blog posts. The book will be available soon as an ebook, so stay tuned! Query Critique #2: And ConCon is Only a Month Away! Welcome back, readers! We return to the query critique today with this submission; my comments appear in brackets in blue. As the author of six YA nonfiction books, I have ample experience explaining scientific and technical concepts to a non-technical audience. My editors at Rosen Publishing have complimented me on my professionalism and responsiveness. Clips from my books Top 10 Tips for Enjoying Success in School and Get Smart with Your Money: Internship Smarts are attached (yes, I can provide articles on those topics as well!) [Nice. The writer doesn't have typical clips, but she's made up for it and "dance with who brung her," so to speak to pump up her ISG.] I have been a working mom for over 25 years, always looking for ways to balance career, parenting, and health. All of us who sit for a living can benefit from knowledge of the detrimental effects of this lifestyle and practical ways to counteract the effects. [Good, though I would still like to see that magic language, "based on my personal experience, I believe I can bring a unique perspective to this subject" or something like that. Also tell me what section of the mag it belongs in to demonstrate familiarity with your target market. Finally, I think 1,500 words is a little long for this subject; I'd pitch it as a shorter piece, maybe 800-1000 words or so.] I look forward to your response to this timely and important topic. Readers, do you do content marketing? Would you like to? Check out ASJA's ConCon conference here in Chicago November 7-8, 2013 at Columbia College. It's for writers who are new to this niche--and those who already do content marketing and want to make even more money doing so. I hope to see you there! 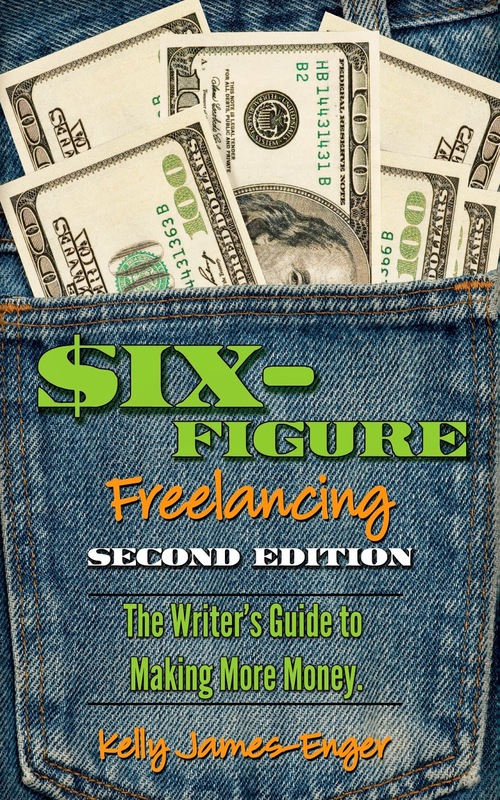 And as usual, I remind you about my books which are invaluable to both newbie and experienced freelancers: Dollars and Deadlines: Make Money Writing Articles for Print and Online Markets and Six-Figure Freelancing: The Writer's Guide to Making More Money, Second Edition. Prefer a print copy? Use the coupon code IMPROVISEPRESS (all caps,no spaces) for 20 percent off when you order directly through ImprovisePress.com. **Readers, I like this query very much. I think I would focus on the truffles aspect a bit more and possibly provide a few more details about the truffle hunting process, etc and how the truffle economy affects the local community, not just talk about the community itself--more of a truffle tie-in if you will. However, overall I think it's a very strong query with a good chance of selling. Readers, what do you think? Want to see queries that sold--and why? Check out one of my popular e-books, Dollars and Deadlines: Make Money Writing Articles for Print and Online Markets or Six-Figure Freelancing: The Writer's Guide to Making More Money, Second Edition. Prefer a print copy? Use the coupon code IMPROVISEPRESS (all caps,no spaces) for 20 percent off when you order directly through ImprovisePress.com.